AR cycling specs company Senth IN1 has smashed its Indiegogo funding target, hitting the $40,000 goal with over a week to spare. 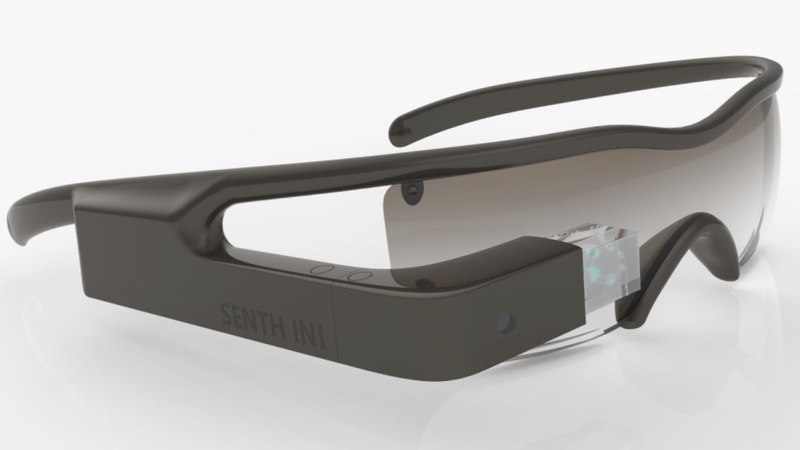 The Senth IN1 is a pair of sporty sunglasses that uses augmented reality designed specifically for bike rides. It syncs with a Bluetooth touch capacitive thumb controller that is mounted to the handlebars for easy access. The smart glasses are designed to allow the rider to monitor such activities as speed, distance, and calories burned, and it will support the ANT+ protocol to allow the use of third-party monitors to track all manner of data, like hill slope, heartbeat, and your pedal rate. The specs are designed to be more than just a regular fitness tracker, although rider's metrics are recorded. The developers hope to include such features as route planning, navigation, music player controls, phone calls, text messaging (using voice input), and photo and video support. Danger Detection is also part of the setup, which will alert you when cars are approaching. It activates when you are on the phone or checking messages so you will be aware of your surroundings while distracted riding. The thumb controller is mounted to the bicycle handlebars and features a centre button, a touch capacitive control ring, and an LED backlight. The ring allows you to navigate through the on-screen menu, presented in front of your eyes, and the button is used to select the features. Recently, after splashing out $25 million for Vuzix, Intel swooped for sports wearable manufacturer Recon Instruments, who has two smart eyewear products – the Recon Jet and Recon Snow – enabling cyclists and snowboarders to get information in front of their eyes. Senth IN1 is a more wallet-friendly option than Recon's efforts though. You can pledge as low as $249 to own the glasses and thumb controller, plus four interchangeable lenses. Estimated delivery is January 2016.